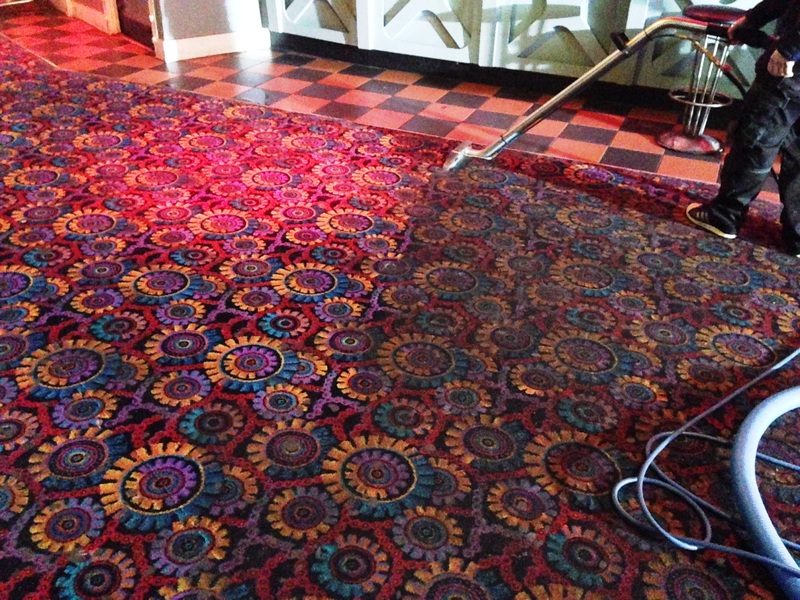 We know that the appearance of your business is important to you, and your carpets can be a big part of that. 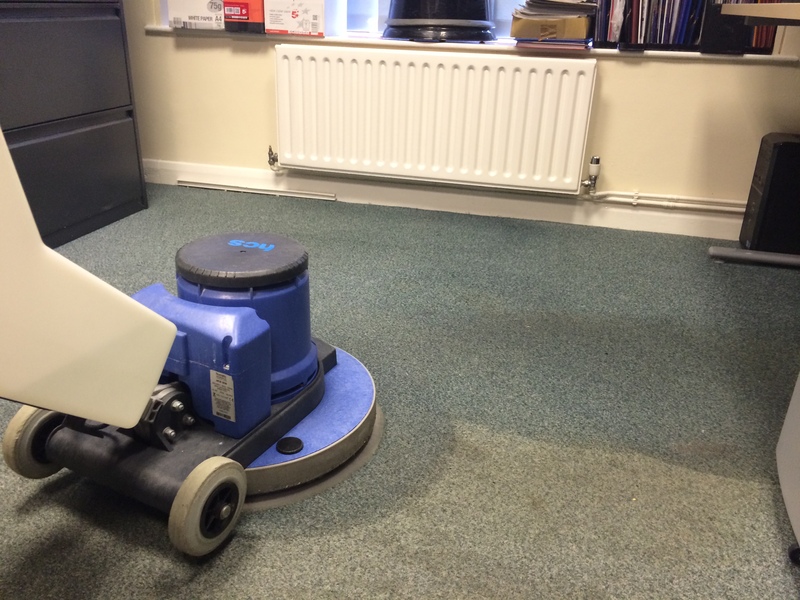 Coffee and tea spills combined with heavy foot fall are all part of a carpet’s daily life – but our pro carpet cleaning systems offer a range of solutions for you whether you need commercial carpet cleaning and office carpet cleaning in Hampshire, Surrey, Thames Valley or Berkshire. 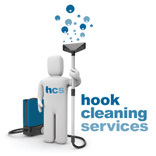 Hook Cleaning Services knows that businesses need as little disruption to their day as possible while office cleaning services are at work. 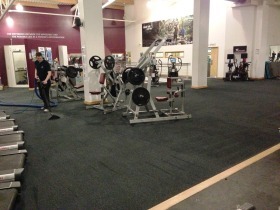 So, where noisy machinery isn’t an option, we can use low moisture office carpet cleaning techniques which allow your business to keep operating with minimum disruption. This has been especially useful for professional carpet cleaning in hotel environments, when minimum guest disruption is desirable. Hampshire commercial carpet cleaning and office carpet cleaning services also extend to Surrey, Berkshire and Thames Valley – and no business is too big or small in our eyes. Whether your office carpet cleaning needs to occur weekly, once every 6 months or as little as once a year – we’re just happy to help. 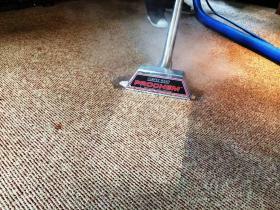 We offer a powerful Truck Mounted professional carpet cleaning service to our commercial customers which allows us to work quickly to incredibly high standards. Get in touch to find out more about our office cleaning services today. 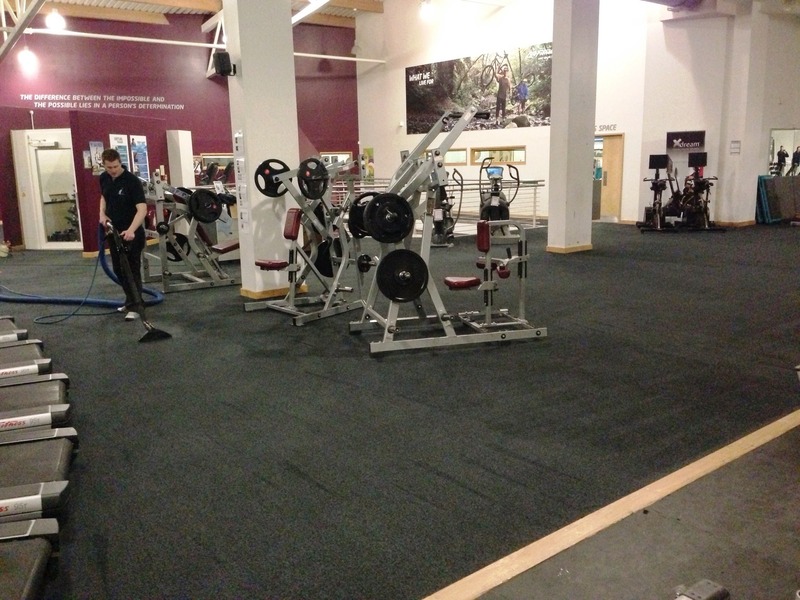 We understand that noise, big machinery and wet carpets for 4 hours aren’t always an option for companies that work around the clock. 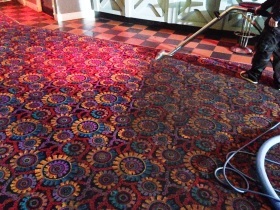 For this reason we also provide low moisture and dry compound commercial carpet cleaning services in Hampshire hotels – clients include The Four Seasons Hotel, The Solent Spa Hotel and the Apollo Hotel in Basingstoke. 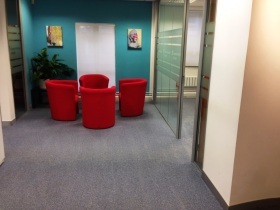 We also provide office carpet cleaning and office upholstery cleaning on a monthly basis in locations across Southampton, Basingstoke and Winchester. DryTouch™ is one of the more recent services being offered by the company, and it’s guaranteed to impress thanks to its efficient, fast-drying nature. What is it? It’s a revolutionary new carpet cleaning system that uses 5 jets, 5 vacuum extraction ports and rotates across your carpet at around 130 times a minute – to get you that optimum, superior clean. Essentially, this results in a deeper office carpet clean and ensures they’re dry before we even leave – making it ideal for domestic, commercial and industrial environments. We’ll give you a free 500ml bottle of spot and carpet stain remover too! 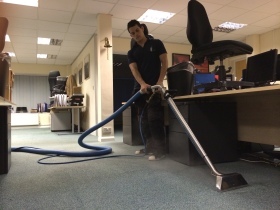 Our industrial, commercial and office carpet cleaning services run across Hampshire, Surrey, London and Berkshire – so get in touch today for more information.